Built in 1889, the Children’s Museum is housed in the oldest surviving train repair facility in Western Canada and is home to twelve exciting permanent galleries that spark kids’ creative learning. Unlike the no-touch exhibits at other more traditional museums, our galleries are always ready for hands-on fun! The latest innovations in education come together at the Children’s Museum with creative environments to provide a powerful learning experience that entertains as it educates. 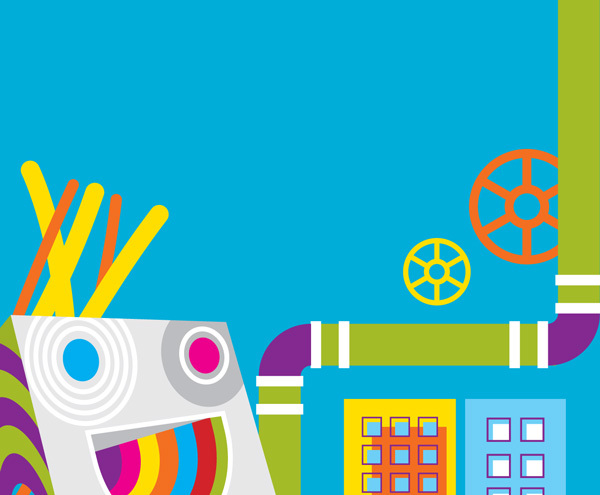 With innovative travelling exhibitions and a variety of drop-in programs, workshops and special events, the Children’s Museum is a great place for the whole family. The Children’s Museum is located at The Forks, in the heart of downtown Winnipeg. Click here to open a new window with a Google map of The Forks area. Pedestrian and bicycle access is available along the Riverwalk and other pathways. Bicycle commuters can plan their bike route using any of the four main Active Transportation Routes to The Forks, and can then find free bicycle parking at a number of locations as indicated on this Bicycle Parking Map courtesy of the Downtown Winnipeg BIZ. Complimentary parking is now available through FNP Parking while visiting the Children’s Museum! Simply register your license plate number at the special Parking Kiosk (located inside our facility next to the Admissions Desk) after you check-in at the Children’s Museum for a maximum of 3 hours of free parking onsite at The Forks. NOTICE: DO NOT USE THE FNP PARKING METERS FOR PARKING DURING YOUR MUSEUM VISIT. Effective October 1, 2018, the Children’s Museum will no longer be capable of refunding parking fees paid at FNP Parking machines. The Forks (and its subsidiary FNP Parking) manage all parking onsite at The Forks, and there is a combination of daily and hourly paid parking available – including identified handicap stalls close to all facilities – for Forks visitors (as indicated on The Forks Map). For further questions or concerns related to parking at The Forks, please visit fnpparking.com. There is excellent public transit service available to The Forks with the #38 Salter route and the free Downtown Spirit Bus Service via Winnipeg Transit. Call the Transit information line at 204.986.5700 for further details. Serving several docks throughout downtown Winnipeg with a dock to dock service, the Splash Dash Water Bus Service links Osborne Village, the grounds of the Legislature, Taché Dock, St. Boniface Hospital, and the Exchange District from its home port at The Forks. The Water Buses are wheelchair accessible and operate seven days a week. A charter service and half hour interpretive tours are also available on Splash Dash. Call 204.783.6633 for more information or click here for the Splash Dash brochure including rates and tours offered. Free three-hour docking is provided for those arriving by boat and canoe. Snacks and beverages are available for purchase at Shop and the Beanstalk coffee bar. You are also welcome to bring your own snacks, but as a courtesy to visitors with allergies, please do not bring products that contain nuts. We ask that all food and beverages be enjoyed in the designated eating area. For full meals, there are several restaurants located on site at The Forks. For a complete listing of all services available at The Forks, please view a map of The Forks here. 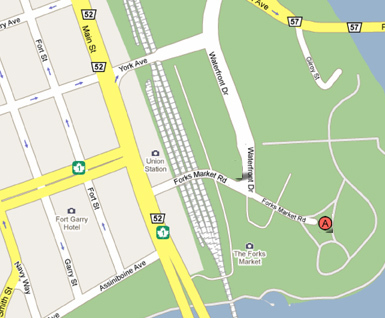 For a complete listing of all services available at The Forks, please view a map of The Forks here.